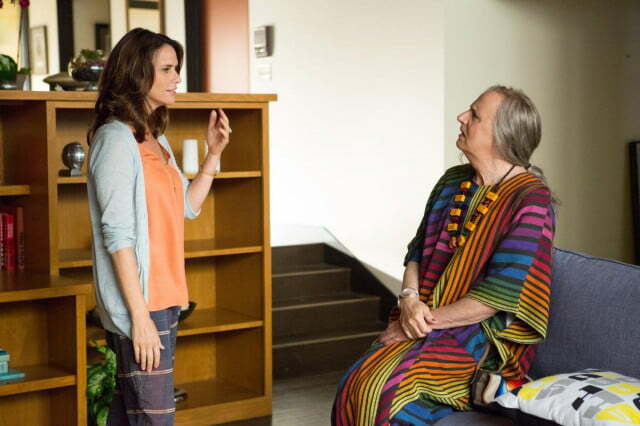 The full season of Transparent, part of the latest slate of original programming from Amazon, debuts on Sept. 26. Already, the entertainment press has taken to calling it Amazon’s House of Cards — its own version of a buzzy, viral show like Netflix’s Kevin Spacey-led look at the dark side of politics. Many believe Transparent has the potential to turn heads – and hook viewers. It’s not just because of Transparent’s unconventional story, the broad strokes of which include a family patriarch played by Jeffrey Tambor who decides to live the rest of his life as a woman. Show creator Jill Soloway – who brings significant artistic heft to the project, with her resume including stints as a writer and producer for HBO’s Six Feet Under – told Digital Trends she creatively swung for the fences, and that Amazon gave her plenty of space to do so. Such gambles are almost a necessity these days for showrunners like Soloway, who take their original projects to Web-based services like Amazon. In an on-demand world, Soloway explains, for people to “demand” your show, you have to give them a can’t-miss product that cuts through the noise. She hopes that Transparent‘s first 10-episode season, the lead-off episode of which is already online, is binge worthy. “When I went to Amazon meetings, it wasn’t like pitching at a TV network. It was exciting. It felt like the future. Not that risk doesn’t happen at a traditional network. As much as he loves what Amazon is doing, show star Jeffrey Tambor, for example, insists he doesn’t want to come off as “the anti-network guy.” But he does see services like Amazon and content like Transparent as threats to the status quo because they represent, to him, a much-needed revolution in TV entertainment. 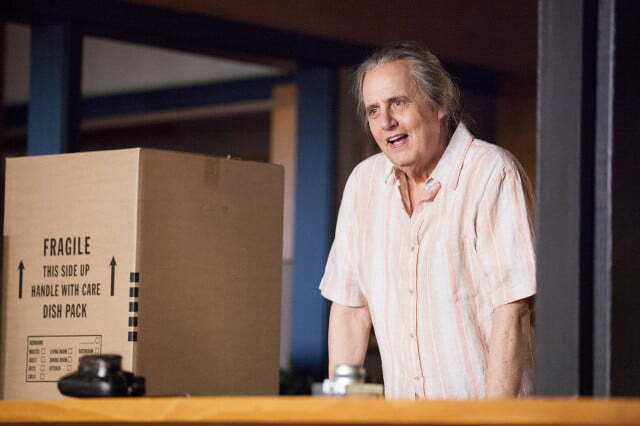 “I think people and programmers better pay attention,” says Tambor, who’s trod similar ground already at Netflix, where he reprised the character of George Bluth for the Netflix-exclusive season four of Arrested Development. Soloway, who won a directing award at Sundance in 2013 for her film Afternoon Delight, says the way that Amazon manages its original programming – votes from the public, and Netflix-esque binge-ability, for example – carry obvious lessons for traditional outlets. She zeroes in on something more subtle, though, which she thinks Amazon gets right and which helps it go where networks don’t. “On any other television show, over at the place called ‘video village’ where the monitors are, you’ll find anywhere between three and 10 people with their arms folded,” she says. “They’ll be asking the unconscious question, ‘Are you guys getting this right for us? Are we going to be able to make money from this?’ That’s hovering across the performances and the vibe on the set. The way that Amazon manages its original programming carries obvious lessons for traditional outlets. 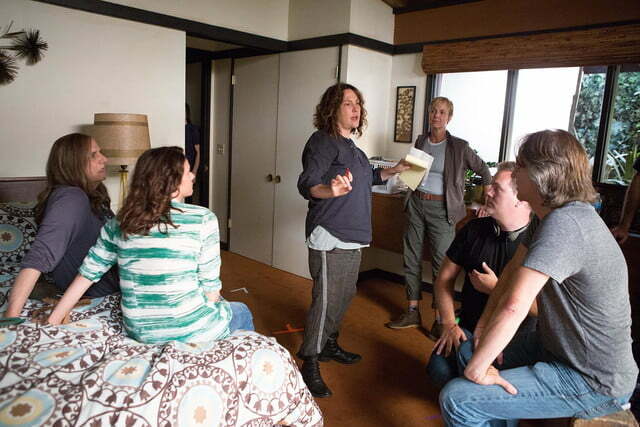 Before throwing in with Amazon, Soloway had at first taken her project to “each of the usual suspects.” Her script had been sent to HBO, Showtime, IFC, Netflix, and Amazon. Back then, she regarded them all more or less as equals. And she wasn’t thinking at that point about a digital platform. You can stream the upcoming season of Transparent here. It’s free to anyone with Amazon Prime.